When I saw these adorable graphics on mycutegraphics.com I knew I HAD to find a way to use them. 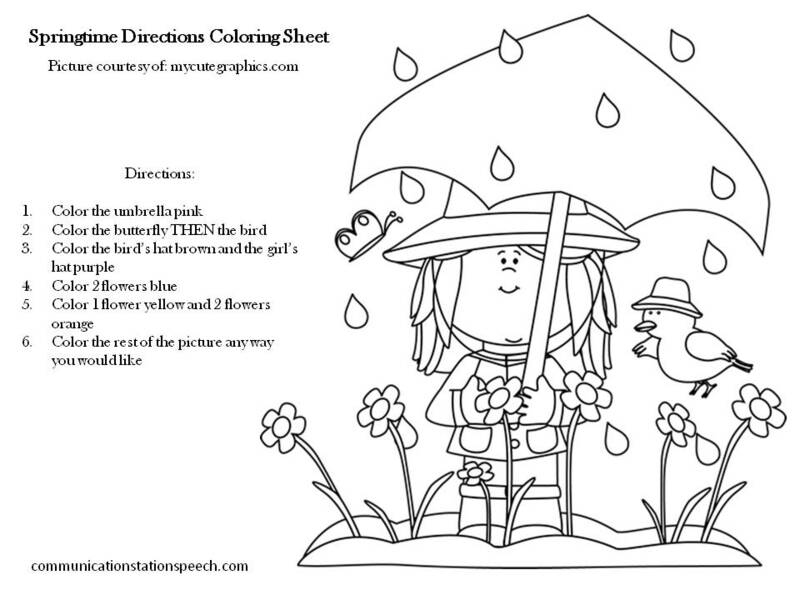 I thought what better way than to create a fun simple directions coloring sheet. Pretty easy for me when traveling from client to client and perfect for traveling SLPs who don’t have the ability to carry a number of different materials. Just grab these sheets and a box of crayons and you are off! 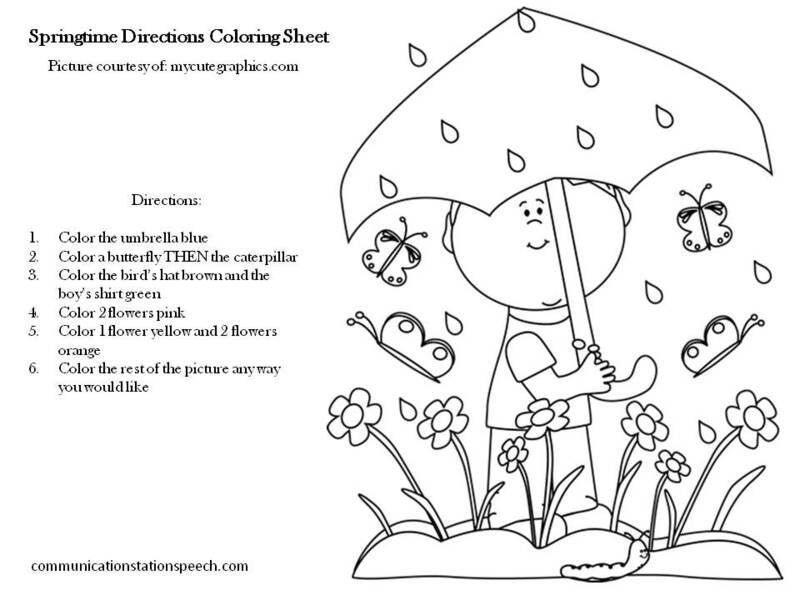 This activity can be used to target receptive language and auditory processing skills via following direction or simply use it as a reinforcement activity for any speech or language goals. Best part? Our kiddos get to take home their masterpiece once complete! Enjoy! Happy talking and coloring! Note: An error was found on one of these sheets and corrected on 4/29/14. The link to the corrected version is shared above. Thank you. ← Giveaway: Eliciting Language in Pre-Verbal Children with ASD!